University of Port Harcourt (UNIPORT) is now selling Direct Entry screening exercise application form for the 2018/2019 academic session. 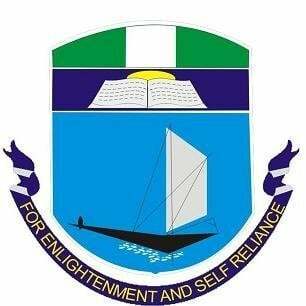 UNIPORT Direct Entry form is now available online. (4) Results obtained from qualifying examinations (O’level, A’level, Diploma, NCE, and Degree respectively). This must be detailed, showing the pass level and points. (5) Candidate’s JAMB Registration Number. SEE ALSO: UNIPORT Post UTME Form. ONLINE REGISTRATION DATE: Wednesday, 4th July, 2018 – Tuesday, 24th July, 2018. How to Apply for UNIPORT Direct Entry Screening Form. Proceed to any of the following Banks with Remita platform(ACCESS BANK PLC, ECOBANK PLC, FIDELITY BANK PLC, FIRST BANK PLC, FCMB, UBA PLC, AND UNIPORT-CHOBA MICROFINANCE BANK) and make a payment of N2,000.00 only. Proceed back online and login with your JAMB Registration Number and the Access Code on the Payment Slip. Upload your passport photograph with red background not more than 1×1 inch. Proceed to the Admissions Office to submit the documents photocopy of JAMB Slip, Birth Certificate/Age Declaration, O’level Examination results (WASCE, GCE, NECO, NABTEB), A’level, Diploma, NCE, JUPEB/IJMB and Degree Programme results, showing CGPA as applicable. Alternatively, the requested documents can be mailed by courier to: The Admissions Officer, University of Port Harcourt, Choba, Port Harcourt, Rivers State. Inconsistency in name will not be acceptable to the University and may lead to disqualification of affected candidates. Candidates’ names on their O’Level and A’ level/Diploma/NCE/Degree Results, JAMB Slips and other registration documents must be the same. Candidates must be at least sixteen (16) years of age by October, 2018 to be eligible for the Admission. Candidates must apply within the Registration period as the online link for the Application Form will be disabled at MID-NIGHT ON 24TH JULY, 2018.